Paging Hercule Poirot … summoning Sherlock Holmes … desperately seeking Lieutenant Columbo. 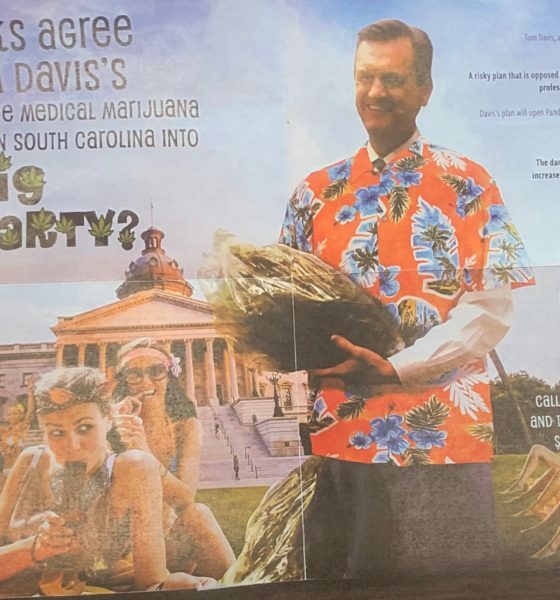 Yesterday, this news outlet reported exclusively on an anonymous mail piece targeting state senator Tom Davis over his support for the legalization of marijuana for medical purposes. 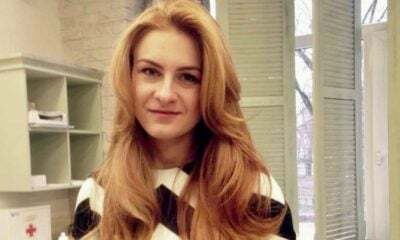 The story quickly went viral on social media … and prompted extensive coverage in the mainstream press. 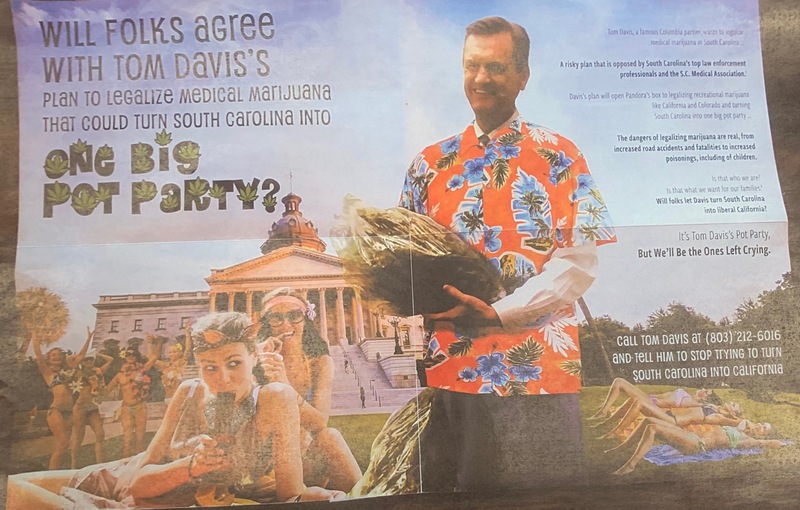 “Party Boy Tom Davis is pushing a risky plan to legalize medical marijuana here in South Carolina,” the mailing claimed, depicting Davis in a Hawaiian shirt holding a large quantity of marijuana and surrounded by scantily clad women. The mailing also appeared to take a shot at the founding editor of this news outlet, Will Folks, prominently highlighting his name as part of its messaging. Obviously the claim against Davis’ bill – S. 366 – is not accurate. As this news outlet has frequently pointed out, his legislation is “too narrowly drawn” and contains far too many “draconian” restrictions from our perspective. 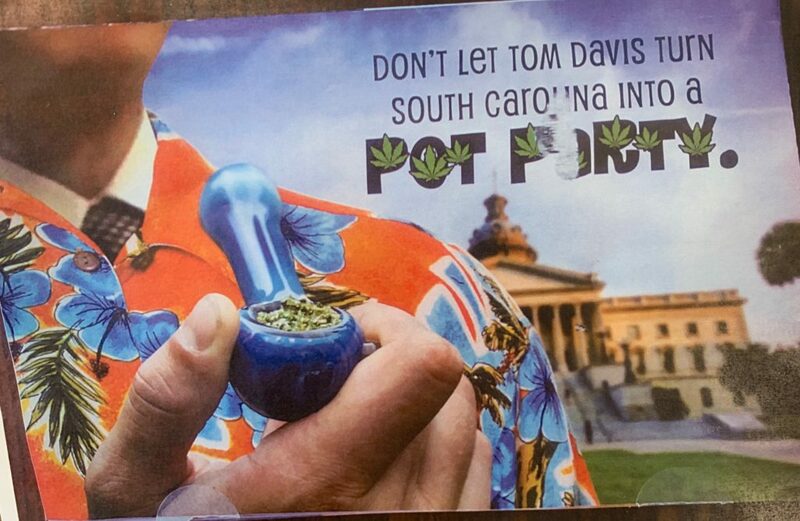 Davis also poked fun at the mailing – and himself – in addressing his colleagues on the Senate floor. The glossy, two-sided mailing – which one political operative told us probably cost at least $25,000 to print and mail – was not linked to any specific group. In fact, its only “claim of responsibility” was a post office box in Columbia, S.C.
And while it is not immediately clear how broadly the piece was distributed, it appears to have been widely circulated across South Carolina’s first congressional district – a seat Davis is reportedly eyeing in the upcoming 2020 election cycle. 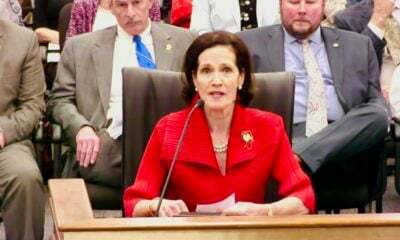 The geographic distribution of the mailing – and the fact it specifically singled out the 58-year-old attorney from Beaufort, S.C. – has led many to suspect it was related to the upcoming congressional race. Davis has been polling in third place in early surveys of the GOP primary for the first district, behind only former congressman Mark Sanford and 2018 GOP nominee Katie Arrington. 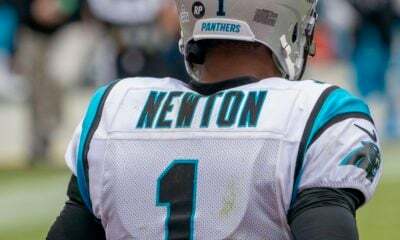 Could one of his prospective opponents in this upcoming race been looking to knock him off of his block? Still others believe the mailing is a “false flag.” For those of you unfamiliar with the term, a “false flag” attack refers to a military operation designed to disguise the true identity of the attacker. It takes its name from the various national flags pirate vessels would hoist prior to launching assaults on unsuspecting ships. 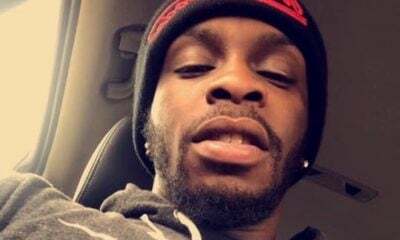 The “false flag” theory was advanced almost immediately by law enforcement sources who oppose Davis’ bill – arguing the broadside was ginned up for the sole purpose of stirring up supporters of the medical marijuana movement. 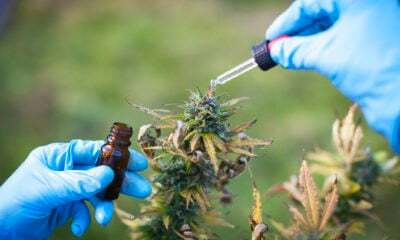 Why would supporters of medical marijuana attack their own champion? Because a clumsy “attack” like this allows them to frame the debate on ground of their own choosing – while simultaneously portraying opponents of the legislation as underhanded and conniving. “Everyone is saying ‘false flag’ now,” one veteran South Carolina politico told us, adding that Davis’ hand had only been strengthened as a result of the mailing. 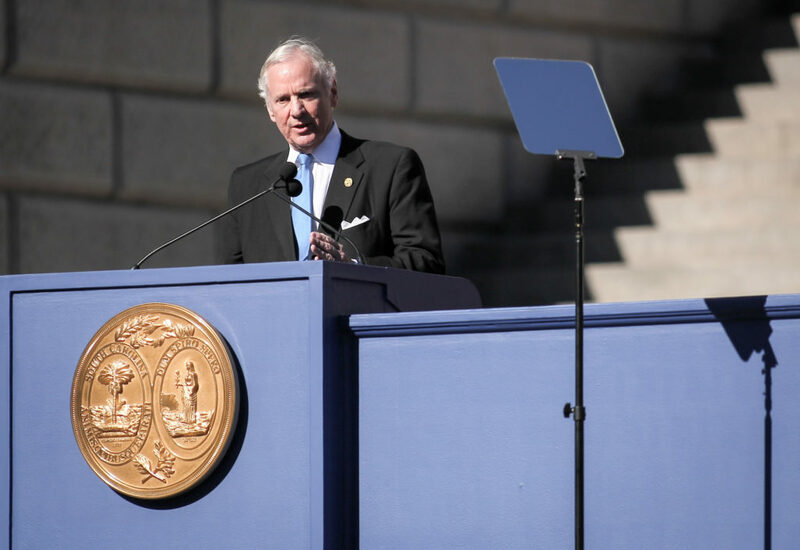 Same for the legislation he is advancing … which already enjoys significant public support (yet faces an uphill battle due to the opposition of S.C. governor Henry McMaster). “Everyone has realized his bill isn’t radical,” the operative added. 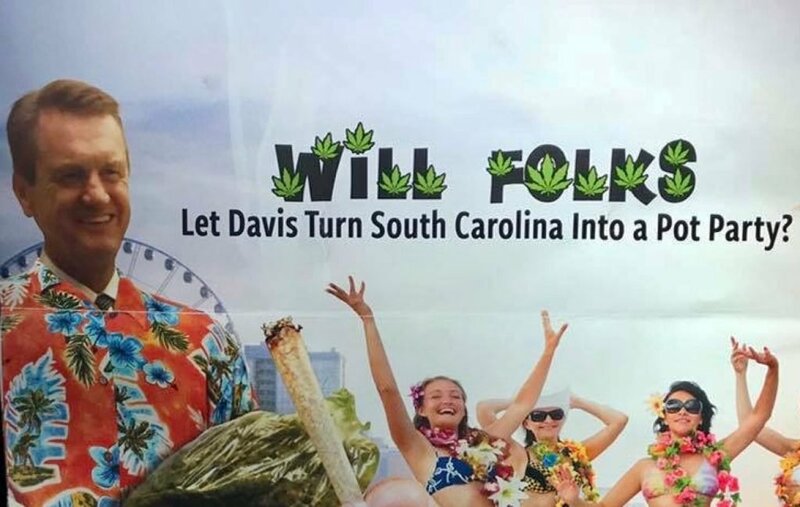 Still others maintain the attack on Davis is a legitimate “dark money” hit – an effort to conflate the legalization of marijuana for recreational purposes (which this news outlet supports) with the narrowly drawn medical legalization Davis is pushing. But our guess is whoever did send this mail piece probably left enough bread crumbs for a good detective to follow.